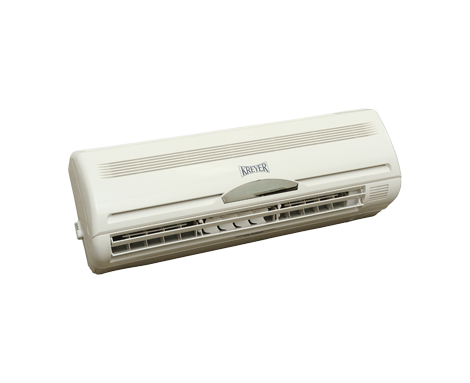 The thermo fans type PH 45 can be used for cooling or heating of smaller rooms with a size of up to 500 m³. This is done by using cold or hot water supplied by the cooling unit. The temperature range is between +8° and +30°C. With an integrated solenoid valve these units are very easy to install in every ambiance, on any solid wall. An infrared remote-control is included with the unit. 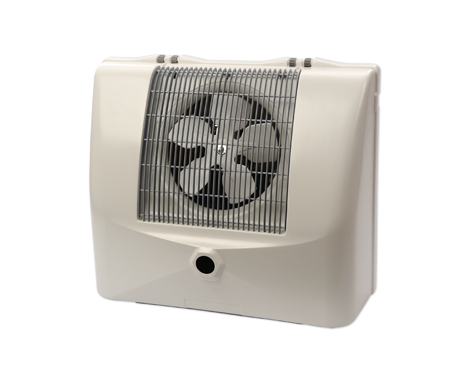 With its smooth-lined design, the PH 45 thermo fan is perfectly suitable for offices and tasting rooms.